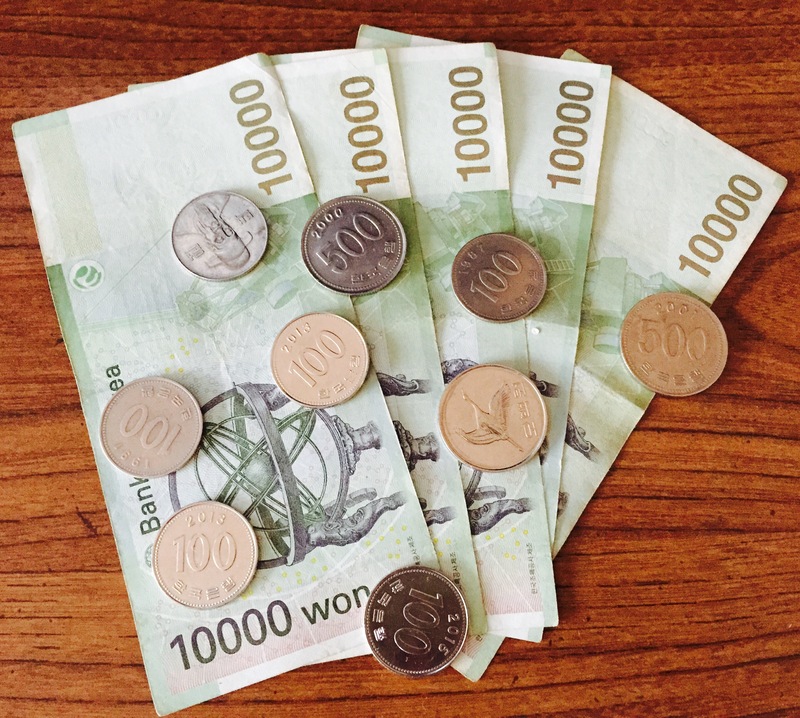 Money – South Korea uses the won, currently the exchange rate is anywhere from 1,050 – 1,120 won per $1. There are many exchange locations and you can also use ATMs to withdraw won. Credit cards are widely used here, however, you will find that some places will give you a discount (from 1-10% off) for using cash. Groceries: We are all used to going to a grocery store in the states, however, in Korea, there are no stand alone grocery stores. They have what they call Supermarkets likes E-mart, Lotte, etc that sell not only food but everything else you could need at your house (almost like a Super Walmart, but bigger). The first thing you will note is that meat is very expensive and a lot of the beef in particular comes from Australia. Another important thing to pay attention to is that pricing is generally for 100 grams (not 1 pound as they use the metric system here), so be careful as prices can trick you. Cell Phone – There are 3 main cell phone carriers: LG+, KT/Olleh, and SK Telecom. Plans definitely vary, so shop around. We get 250 minutes, 2.5 GB of data and unlimited texts for 41,000 won. I know people with unlimited plans for around 65,000 won. We personally chose Olleh as they have free wifi areas in so many locations, including the trains on the subway, so this really helps curb our data usage. If you are interested in signing up for a Korean plan you will need an alien resident card, so make sure to do that. Additionally, if you purchase a phone from the company you will need to sign a contract just like in the U.S. If you bring your own phone, you won’t be locked into a contract. We were able to use our unlocked IPhone 6 with no issues. Previous Post 1600 Pandas in Seoul!?!? Next Post Who you calling Chicken?! I think Olleh is the cheapest.